Congrats on getting to level 180! It's time for a new lux shop in Gelebron's Tower an you're wondering "Should you Buy?" 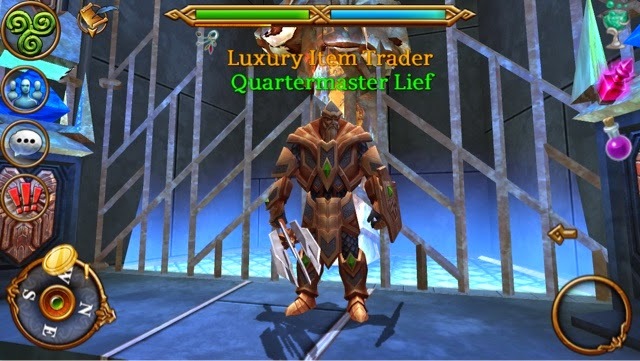 Read this post and I'll tell you all about the Quartermaster Lief level 180 luxury shop. I'll be diving into the items, looking at the stats, and letting you know if you should bother picking up these items. But if your clan got you your Dragonlord offhand weapon, you can use this to level up in the tower without having to buy a new lux offhand. Druids, Mages, and Warriors don't need to buy at all if you got your offhand. Equipment - Should you buy? No. Stick with your level 150 lux necklace, or that Garanak set you picked up from your clan. Look in the auction house for cheap rings. Be patient and you'll find something better than this lux for cheaper than what you'd buy here. Plus, you'll be buying some in the next shop. So the overall verdict on this shop is no, you should not buy. Get your gear from your clan, the auction house, or just use what you have. There will be better items coming in the next lux shop.